Lose yourself for a long weekend in luxury at Ningaloo’s retreat: Sal Salis. Your ultimate wilderness experience begins here at Sal Salis Ningaloo Reef, located in WA’s far northwest, an hour south of Exmouth. Opening July 1 2008, the self-described “wild bush luxury” outfit is set between the 280km-long Ningaloo Reef and limestone range of the Cape Range National Park. Of course Ningaloo is famous for its whale sharks, manta rays, humpback whales, dugongs, turtles, potato cod and many other different species of fish. Its proximity to the shoreline makes it a snorkelling and diving heaven, with coral up-to-par in colour and superiority with those of the Great Barrier Reef. Swimming alongside whale sharks in particular is an unforgettable experience available on excursions between April and June each year. Other expeditions include sea kayaking, guided George walks and wildlife viewing. Sal Salis is nestled between the dunes in the heart of Cape Range National Park, and the lodgings provide a unique, natural experience that doesn’t skip on creature comforts. 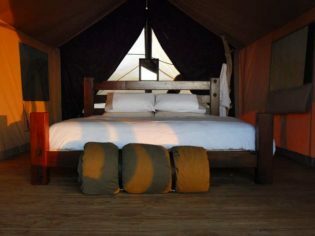 The five individual luxury tents feature en suite bathrooms and 100 percent cotton linen (500 thread count). Dinner is set against a sunset upon the Indian Ocean and concluded with a self-service bar and lounge. 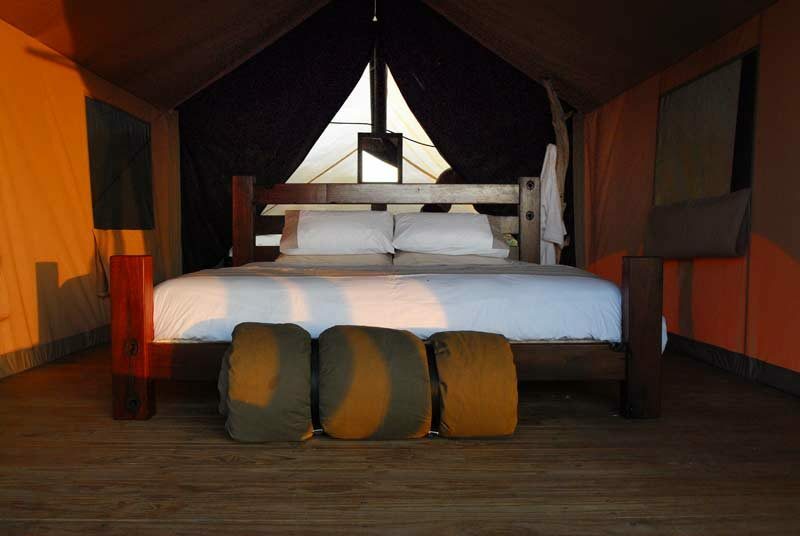 The camp was originally the Ningaloo Reef Retreat, when Bamurru Plains owner Charles Carlow and Stewart Cranswick (formerly of Landela Safaris in Zambia and Zimbabwe) joined forces with previous owner Paul Wittwear to refurbish and upgrade the holiday camp. And upgrade is right; Sal Salis Ningaloo Reef is entirely solar powered and was developed in line with the WA Department of Environment and Conservation. It’s built on above ground platforms to minimise impact and future plans are in the works for the development of a concurrent carbon neutral operation.